I bumped into Gunter von Hagens with his dog Bella, the pioneer of the technique of plastination that forms the basis of the Real Bodies Exhibition, in early 2012 on the top of the Emipre State Building in New York City of all places. An affable polite and soft-spoken chap - the man that impregnated corpses with plastic solution so individual body parts could be dissembled and put on show had earned himself the moniker of “Dr Death” and his endeavors, i.e. to make what was previously the realm of mortuaries and medical museums, have never been not uncontroversial – au contraire. His exhibitions, which he sees following his primary goal of preventive healthcare, became a worldwide phenomenon that effectively had an impact on the perception of the dead with millions of visitors. While press coverage implied something sinister and macabre, the exhibitions themselves exhibit immaculately prepared bodies that offered a view on the inner workings of humans. A view made possible by removing all the fat and water out of the tissue and replacing it with a plastic polymer, whether that is a silicone, polyester resins or epoxy resins, i.e. plastination. 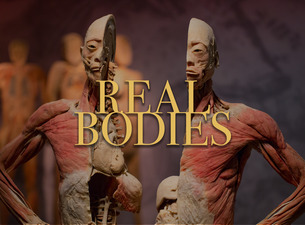 The Real Bodies exhibition follows von Hagens’ lead with the focus being on plastinated mortal remains. The exhibition offers the opportunity to explore ten galleries of anatomical artifacts and twenty human plastinates alongside a bit of philosophy re: what it means to be homo sapiens aimed at aiding to explain how humans breathe, eat, think, grow more humans and ultimately die by displaying human cadavers in various forms of dissection to show respiratory, circulatory, digestive and reproductive functions of the body. Controversy in the context of the Real Bodies exhibition evolved because questions were raised about the provenance of the bodies and if they belonged to Falun Gong prisoners and “body factories” in China, which motivated protesters gathering outside the exhibition to alert visitors, which illustrate the interdependencies between respiratory and circulatory systems, muscles, bone and skin. The CEO of Imagine Exhibitions, the operators behind Real Bodies, deny any foul play and insist that the bodies were donated, however, there seem to be gaps when it comes to meticulous authentification of the sources, which leaves a bit of a bitter aftertaste. An interesting exhibition that does not lack an artistic approach yet is mainly focused on education without unnecessary theatrics.